← Skyblade’s Gambit: Now Available! Take to the Skies! Starting off Sunday with this reminder: Skyblade’s Gambit, my new novella, is now available through Amazon! Be advised that as a Kindle Worlds book, it’s only available through Amazon’s US store. If you’re outside the US and want to get this book, leave a comment here or message me through my Facebook page; there is a workaround, and I’ll be glad to help you get your copy. More after the cut! I’ve mentioned before that Skyblade’s Gambit is part of the Plundered Chronicles, a group of stories inspired by the novels of Alex Westmore. If you’re part of the website Instafreebie, you can download previews of all the books in the launch! Click here and enjoy! Then after that, jump in to an awesome ebook promo. 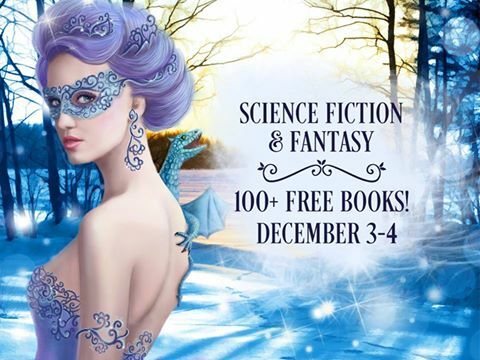 Get over 100 fantasy and science fiction ebooks…for free! Click here for more! The promo officially ends today, even though some of these books will still be free for a few more days, so don’t wait! And finally: I am Groot.